Every truck accident is unique, but many involve similar types of negligence on the part of the driver, truck owner or trucking company. 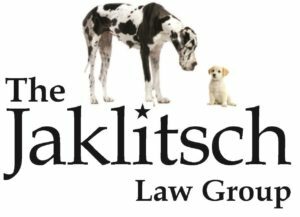 Because the legal team at the Jaklitsch Law Group understands the causes of truck accidents, we know how to investigate your case and maximize the financial value of your truck accident claim. Sometimes the trucking company is responsible for the trucking accident. Companies that hire unlicensed drivers, force their drivers to work long hours resulting in driver fatigue or improperly train their drivers, can be held liable for the accident and resulting serious injuries. No matter what caused the accident that injured you, our attorneys will conduct a thorough investigation to determine what happened and who is at fault. We know the questions to ask and the evidence to gather. You can rely on our law firm for effective representation that gets results in truck accident claims. To schedule a free consultation, please contact us today. Put our 50 years of combined experience to work for you.